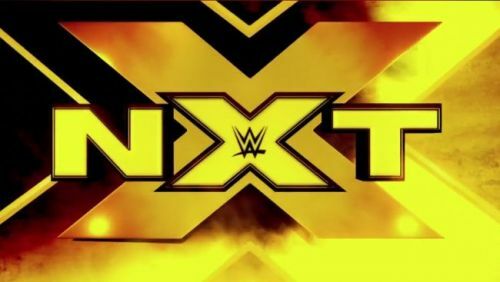 This week's NXT started with William Regal coming to the ring looking to further the "whodunnit" storyline of Aleister Black. However, the NXT General Manager was instead confronted by the Undisputed Era. Adam Cole stressed that due to the Black investigation, Regal was taking his eye off the ball when it was coming to other parts of the show. Regal replied saying that he wasn't fooled by Cole and the Undisputed Era in their attempt to get one over on him. Regal then booked Cole to face Ricochet and Pete Dunne in a triple threat match for the NXT North American title, and following that by booking the Undisputed Era against the War Raiders for the Tag Team Championships. After two backstage interviews, we got our first match of the episode, between Lars Sullivan and Victor Orchant. The match ended after EC3 returned and attacked Lars Sullivan, giving Sullivan the victory by DQ. That was followed by a tag team match between the Mighty and the Street Profits. The feud has been going on for a while, with the Mighty costing the Street Profits their match against the Forgotten Sons by stealing their cup and chain. The two teams have faced each other a few times, but this was undoubtedly the best bout between them. The Mighty targetted the leg of the Street Profit's Montez Ford. Vanessa Borne then faced at Kairi Sane for the NXT Women's Championship. Borne tried to play mind games with the Pirate Princess, but the tactic didn't work. Sane picked up the win easily, using her Insane Elbow for the win. Shayna Baszler came to the ring post-match to set up her rematch and Sane responded saying that she would get her rematch at the all-female PPV, WWE's Evolution. Finally, we reached the main event of the evening, a non-title match between Otis Dozevic and NXT Champion, Tommaso Ciampa. The match successfully told the story of the smaller heel champ trying to outthink his bigger opponent. After an even match between the two, Ciampa would catch Dozevic with two successive draping DDTs, the first on to the apron and the second back into the ring. NXT's General Manager, William Regal, is the best authority figure in the WWE right now. Regardless of what you think of the drama that has gone on between the General Managers and Commissioners on the main roster, everyone can agree that the way Regal carries himself and is involved is the perfect level for an authority figure. Not the central focus, or used often, but when used, is direct, and to the point. This week Regal was interrupted by Undisputed Era led as per always by Adam Cole. Cole carries himself on the mic like few other superstars on NXT and the main roster. He doesn't use gimmicky catchphrases when he talks or speak in cliched sound bites or ramble on, he is direct and in character. Cole went toe to toe with the GM and came out looking good. The tantalizing match up of the triple threat between Adam Cole, Ricochet and Pete Dunne looks to be great.